“Mankind only only lives with the support of nature” said by Scott Murray yesterday at his talk about the avocado and coffee orchard at Whittier College will have soon on campus. 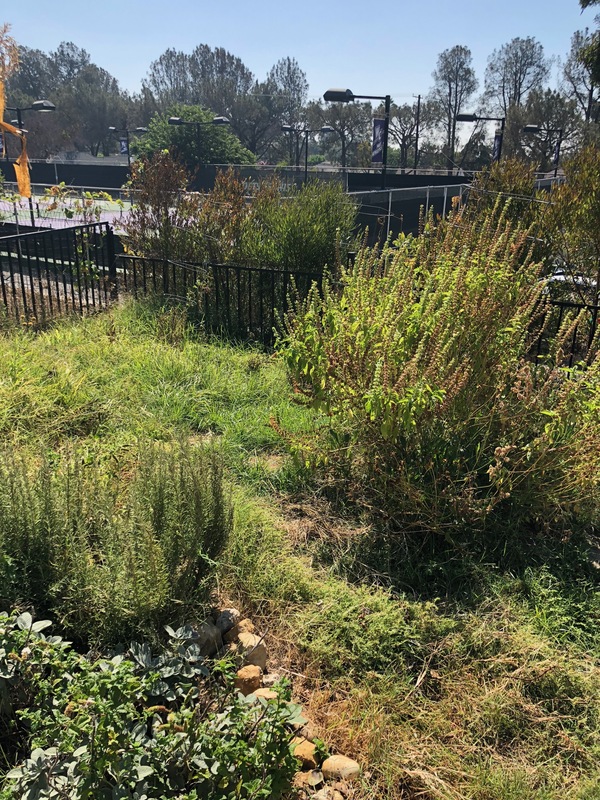 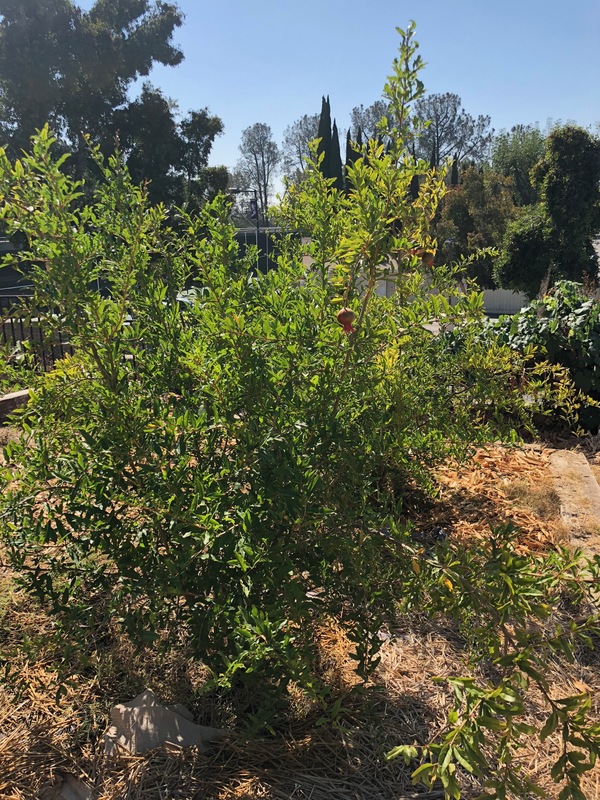 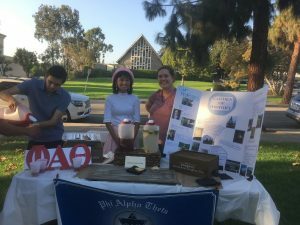 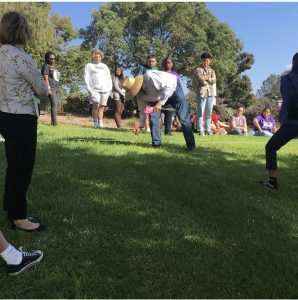 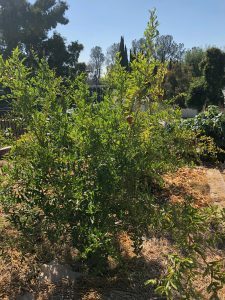 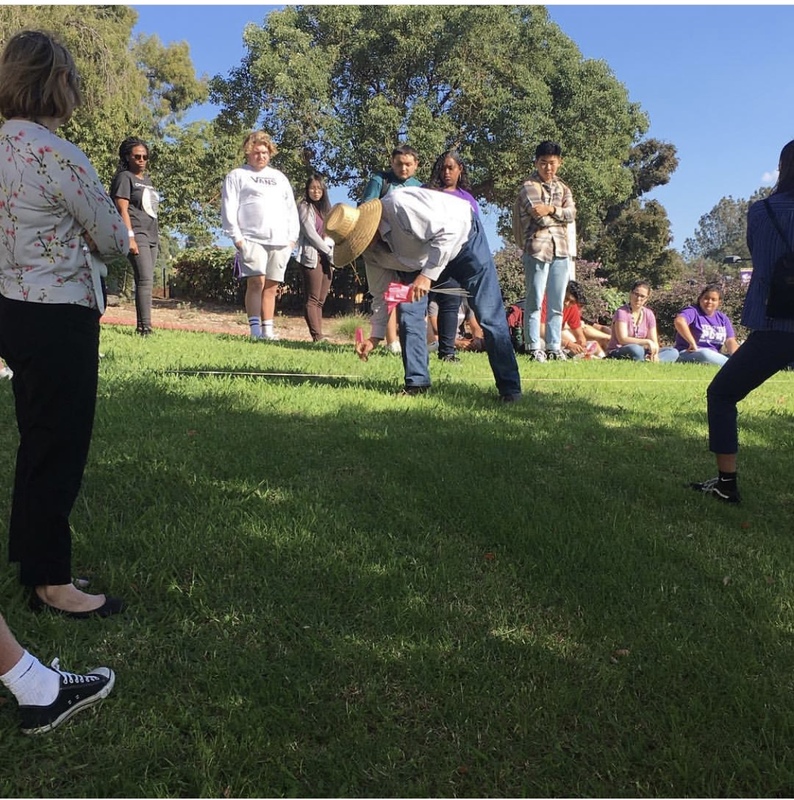 Whittier College’s History Department has gotten the green light to start developing the “History Orchard” on the campus. 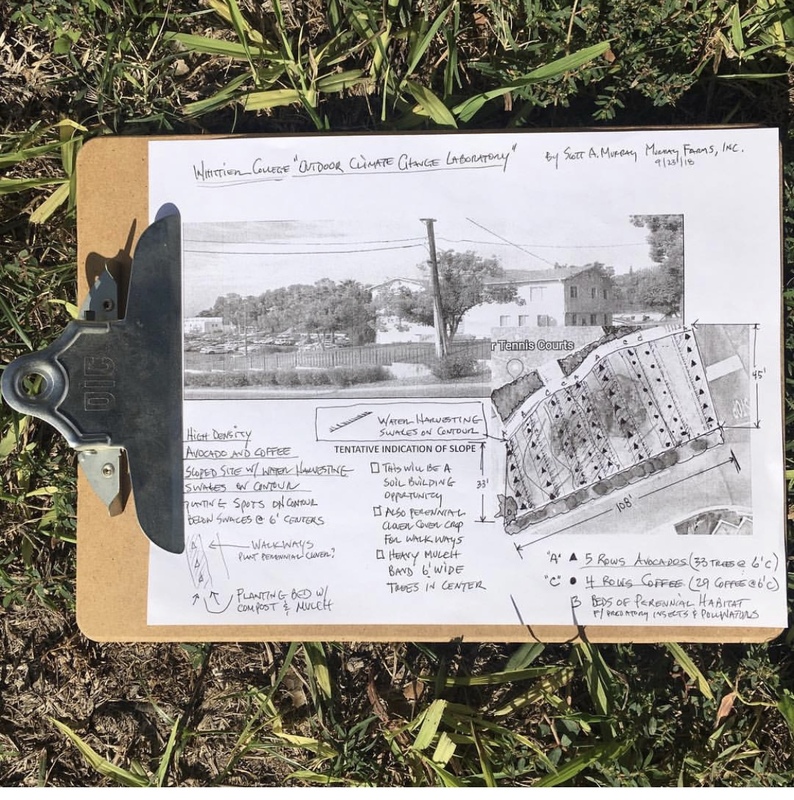 Here are some pictures taken by a fellow historian, Koren Dalipe, of Scott Murray planning out where the orchard is going on the campus. 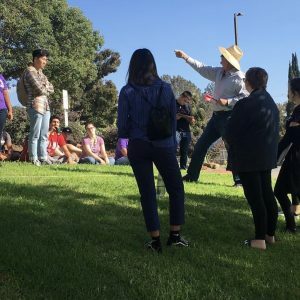 The History Department at Whittier College is starting their Speaker Series; where we will be discussing History and what it can do to help the environment. There is a Speaker coming tomorrow, whose name is Scott Murray. 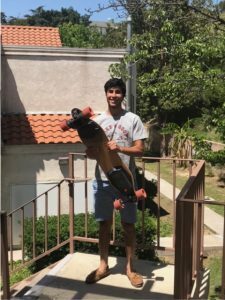 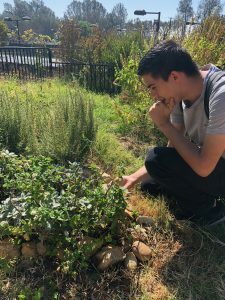 He will be discussing Agricultural Preservation in the SUrF Garden located next to the Graham Athletic Center and Wanberg Residential Hall from 3-4 and he will also speak again from 7-9. 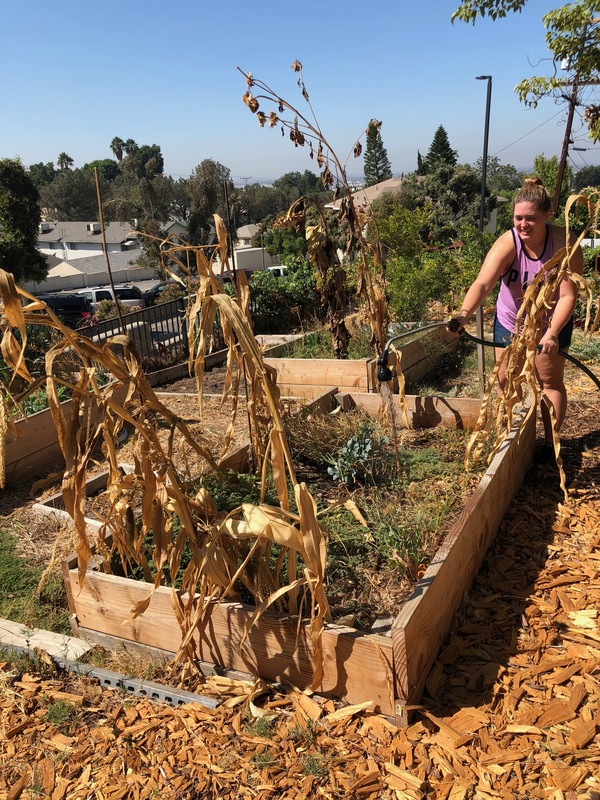 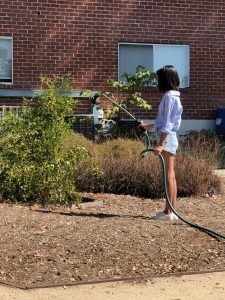 With ample access to a variety of ecosystems and biomes in Southern California and the support of caring and dedicated faculty, Marissa found the space to flourish and grow as a budding scientist in the biology and environmental departments at Whittier.